Many people used to walk by my classroom when I taught at a local high school and would shake their heads in disbelief. During my high school teaching career I would hand each of my students a flyswatter, break them into groups of five and then start a vocabulary review game that would bring out excitement in my students. 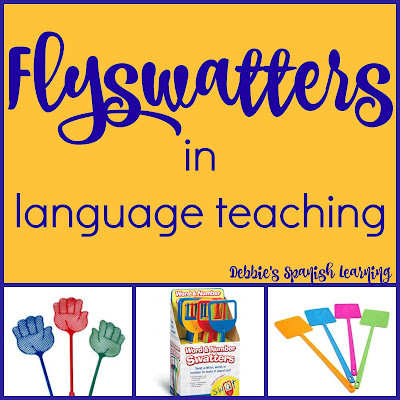 So, yes, flyswatters are useful in a language classroom! It may not look like learning with a bunch of students with swatters in hand, but it actually was a great way to review vocabulary. 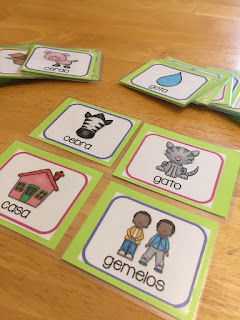 Basically, I would make multiple decks of cards (one deck per group...each deck contains the same cards) with either Spanish words or pictures. My students would lay the cards out on the floor and form a circle around them with their flyswatters in hand. I would then call out a word. 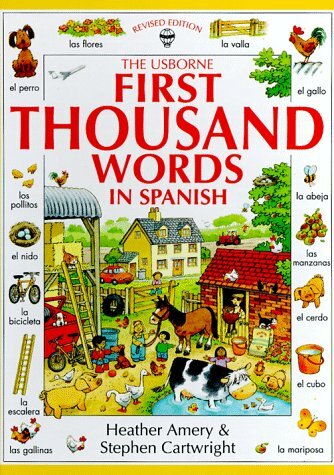 Depending on the cards I had I would either call out a word in English for them to find the written word in Spanish or I would call out a word in Spanish and they would have to find the correct picture. The first student to put their flyswatter over the correct card would take that card. At the end of the game when all the words had been called out, students would count out how many cards they had. The one with the most won in the group. 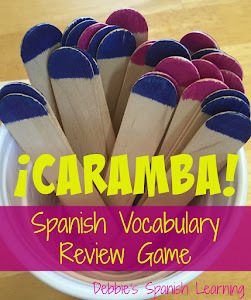 This game was one of the absolute favorites of my students. They begged for it! Yet, because I was using flyswatters with them and things can get out of hand easily I had some strong rules associated with the game. They were NEVER allowed to use their swatters on another student. If they did, they were out for the duration of the game. Normally, I didn't have too many problems with this since I was real consistent with this one particular rule. My students enjoyed the game so much that they rarely violated the rule. However, you know your students and what they can handle. These days I work with much smaller groups (less than five in a lesson) and we use our hands. I still have the same rule...no slapping each other! However, because fingers can get hit easily I may end up getting a few swatters. The beauty of this game is that it works with one small group all the way up to a large classroom of students that you break up into groups. Another variation of this game is to used cards in which you have pairs (like pairs of opposites or pairs of rhyming words). 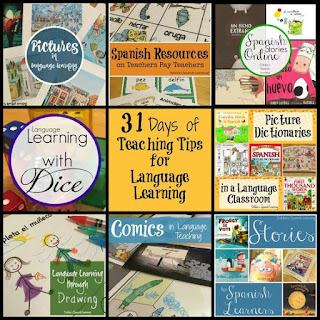 You then call out one word and students need to put their swatters on the opposite word or rhyming word. Need more ideas for your foreign language classroom?